Researchers at MIT have maximised taste in basil plants using a canny combination of botany, machine-learning and chemistry. Rather than relying on genetic modification, scientists at MIT’s Media Lab used computer algorithms to determine the optimal growing conditions to maximize the concentration of flavourful molecules known as volatile compounds. But that is just the beginning for the new field of “cyber agriculture,” says Caleb Harper, a principal research scientist in MIT’s Media Lab and director of the OpenAg group. His group is now working on enhancing the human disease-fighting properties of herbs, and they also hope to help growers adapt to changing climates by studying how crops grow under different conditions. “Our goal is to design open-source technology at the intersection of data acquisition, sensing, and machine learning, and apply it to agricultural research in a way that hasn’t been done before,” Harper says. 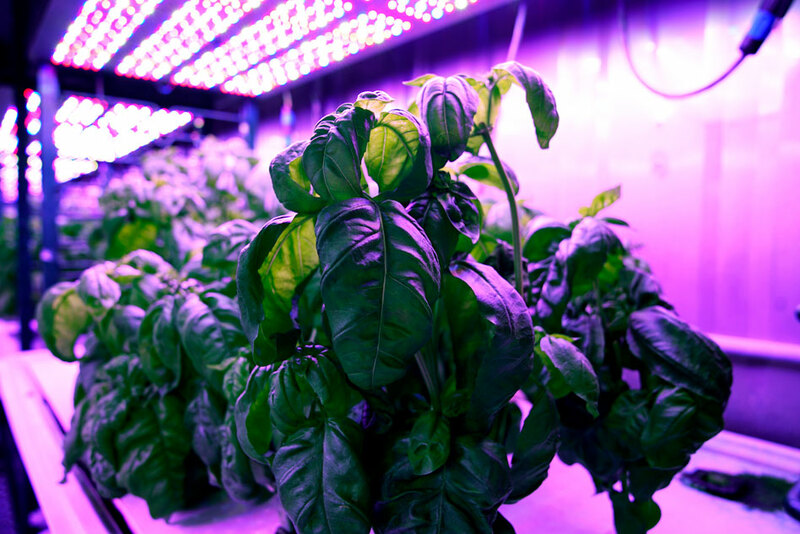 In their study of basil plants, published in PLOS ONE, the researchers found, to their surprise, that exposing plants to light 24 hours a day generated the best flavour. Traditional agricultural techniques would never have yielded that insight, says John de la Parra, the research lead for the OpenAg group and an author of the study.